Lyman Potts, a career broadcaster, began in radio in his teens and has been an active member of the broadcast industry ever since. 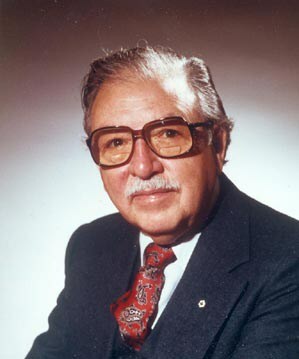 In the ‘40s, he helped found the Central Canadian Association of Broadcasters and was instrumental in the formation of Quality Records. In the ‘60s, he conceived and introduced the Canadian Talent Library and produced its first broadcast recordings by Canadian musicians. As there was virtually no record industry in Canada at the time, CTL provided employment and exposure for Canadian artists and gave radio stations their first “Cancon” recordings. In 1976, he was named to the Canadian Music Hall of Fame and in 1978 was named a Member of the Order of Canada. He now runs his own consulting company specializing in issues related to recording and radio.